TranSep: add attack... or reduce it. If you're in the mood for some transient tweaking, Khaelis Software has a new tool for the job in the shape of its TranSep plugin. Designed to do everything from adding punch to your snares to removing clicks from your kicks, this promises to give you "complete control of the transients". Three modes equates to three different algorithms, and several presets come supplied. 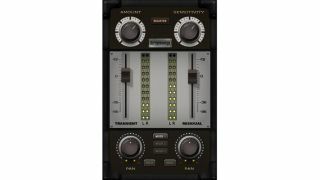 TranSep is available now for PC and Mac in 32/64-bit VST 2/3 and AU formats. It costs $49, though a 30-day demo is also available. Find out more on the Khaelis Software website.